Here it is January 17th and I am finally getting around to posting for the first time this year. I have started this year in a new job, that at the moment, is leaving me very little time for sewing! My first Design Wall of the year finds me working, as usual, on several projects. I did find time to take a day off last Wednesday for a Bonnie Hunter Workshop here in San Diego. 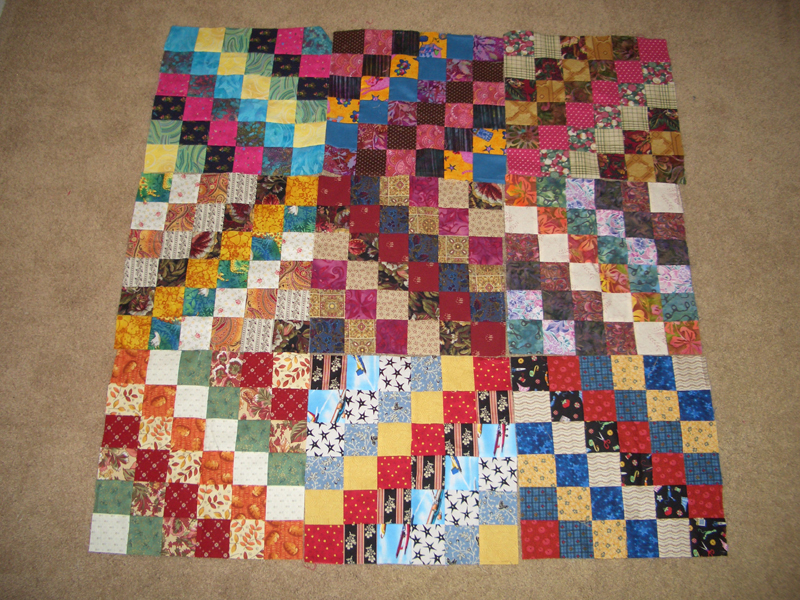 Scrappy Trip around the World is the quilt, and I was able to complete nine blocks by the end of the day. A very easy, fun quilt that uses up a lot of scraps. Still have 11 blocks to go. 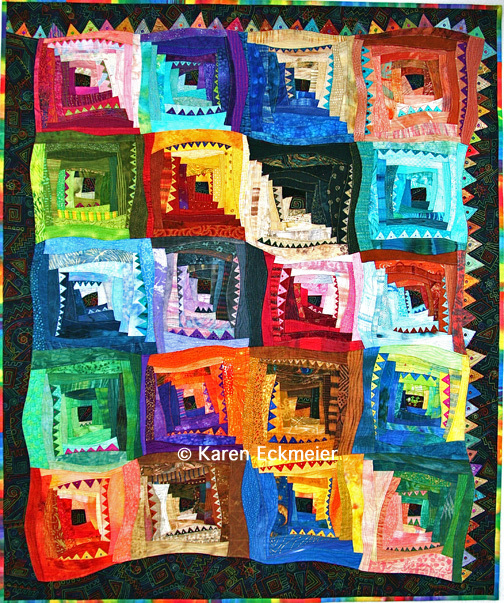 Also in the works is Bonnie Hunter's Mystery Quilt "Orca Bay". Working on the Ohio Star Blocks and still have the larger String Pieced blocks to go before putting this one together. Will post pictures of progress next week. Will be on my way on Friday to Road to California Quilt Show in Ontario with Sandi, where we are taking a Scrappy Log Cabin Quilt class with Karen Eckmeier and the Lakeside Mystery Class. Looking forward to a quilty weekend and a little shopping!! Hope you all have a great week and find some time to work on your projects! To see what everyone else is working on go to Patchwork Times.